Batman's back! 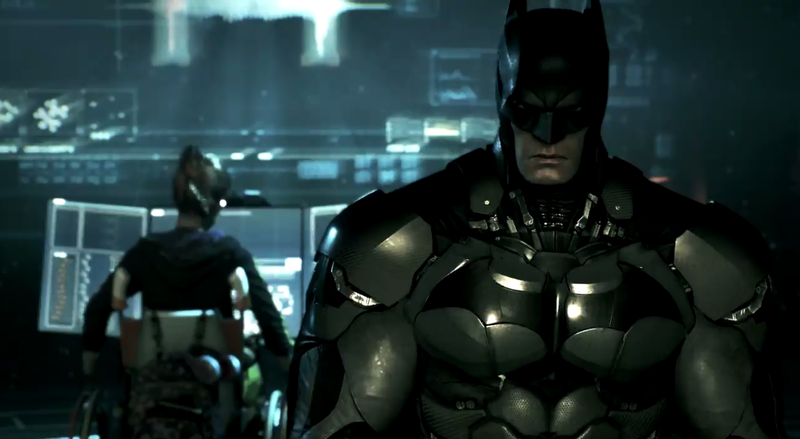 And this "gameplay" trailer for Batman: Arkham Knight just released, although it looks like more cut-scenes save for some Batmobile action. It drives upside down! But it's a cool trailer and you should check it out nonetheless.